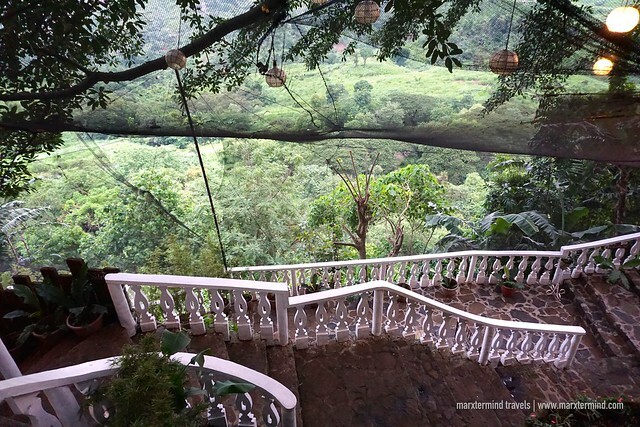 If you’re looking for a nice vacation spot near Metro Manila, look no further because the city of Antipolo is the place to be. It is an ideal location for families, friends and people looking to spend days to relax and have fun. The city features a large list of resorts with impressive facilities and accommodations. One of the famous resorts to find here is Luljetta’s Place. Located in the vicinity of Loreland Farm Resort, Luljetta’s Place is a relaxing destination to stay with natural surrounding to love. It has a peaceful atmosphere and offers impressive overlooking. 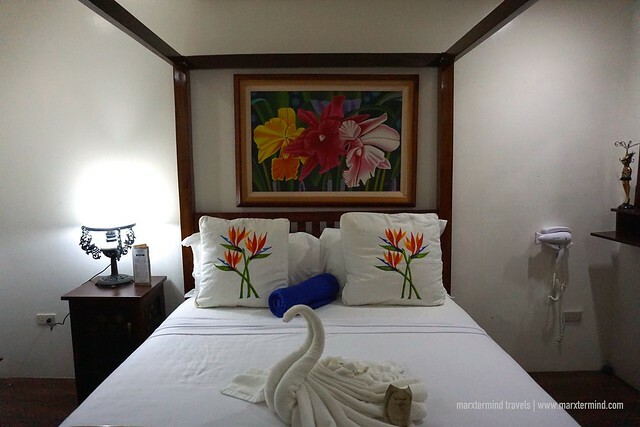 The resort also features more private accommodations and wonderful facilities offering each guest the much-needed vacation. It was during our weekend tour in Antipolo when our group stayed at Luljetta’s Place. Staying here for two nights provided us nothing but comfort to completely enjoy our getaway in Antipolo. Staff warmly greeted us upon our arrival. They served us welcome drinks and some small snacks. Checking in didn’t take long. They accompanied us to our respective rooms afterwards. Luljetta’s Place features different types of accommodation. The name of each room is after different posts in government office such Councilor’s Studio, Mayor’s Suite, Governor’s Suite and Senator’s Suite. The resort also has two more room types named as Mykonos Suite and Santorini Suite. We stayed in a Senator’s Suite. It’s a loft type with three queen beds and a pull out bed that can accommodate up to 4 to 5 persons. 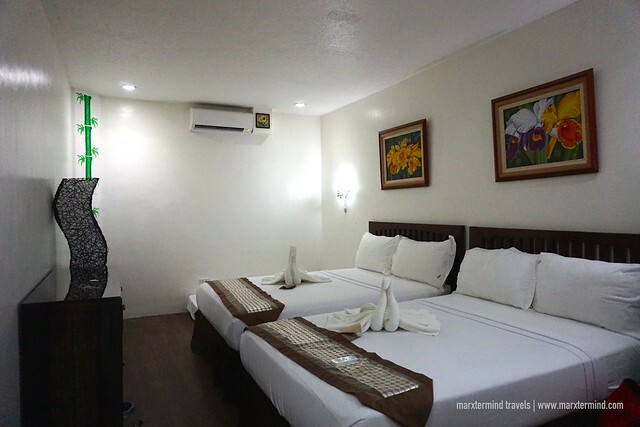 The room is pleasantly basic and has all the useful amenities. It is air-conditioned and has two private bathrooms. The room also has TV, mini refrigerator, bedside lamps and some small desks. Our room was essentially cozy and has everything necessary to enjoy our stay. Adding to our wonderful vacation at Luljetta’s Place are the great services and facilities they offer. The resort has various dining places where guests can have an all-day dining. We had complimentary breakfast, which is in buffet style and includes local breakfast favorites. Other restaurants are Verde Restaurant and Luljetta’s Café. Here, we were able to sample some traditional Filipino dishes. We also got to try Antipolo’s own, which is fried suman or sticky rice with latik (oiled coconut muscovado) topped with cashew nuts and mango. What I also enjoyed about Luljetta’s Place are the several outdoor pools. Booked guests are provided free access to Loreland Farm Resort and Luljetta’s Hanging Gardens & Spa. Loreland Farm Resort features various swimming pools, slides and some attractions that families, friends and kids will certainly enjoy. 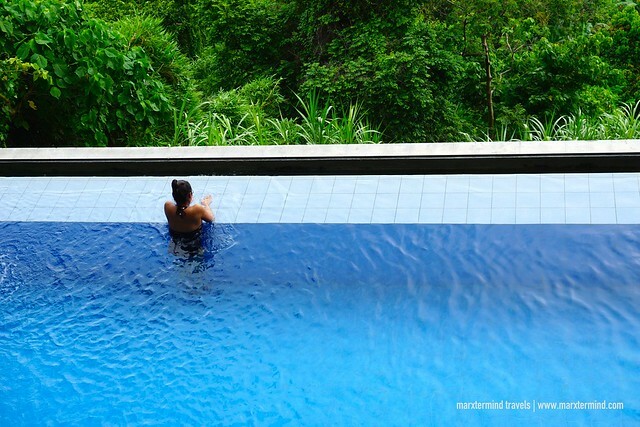 It was just too sad that we didn’t have much time to experience this because we got glued at Luljetta’s Hanging Gardens & Spa. 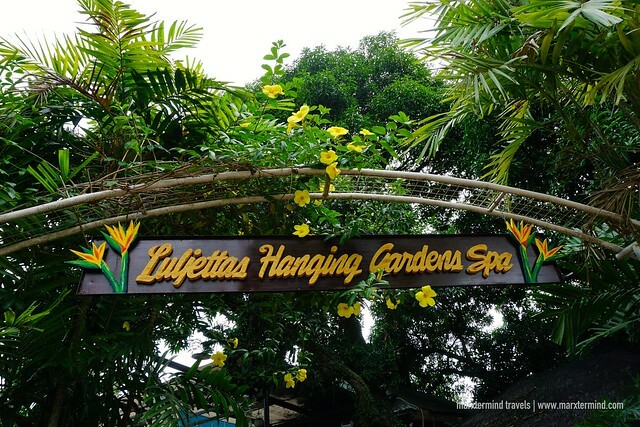 Luljetta’s Hanging Gardens & Spa is the first and only hanging gardens and spa in the Philippines. This place is becoming a destination of its own because of its ambiance and natural surrounding. We spent most of our time here simply because it’s beautiful and peaceful. 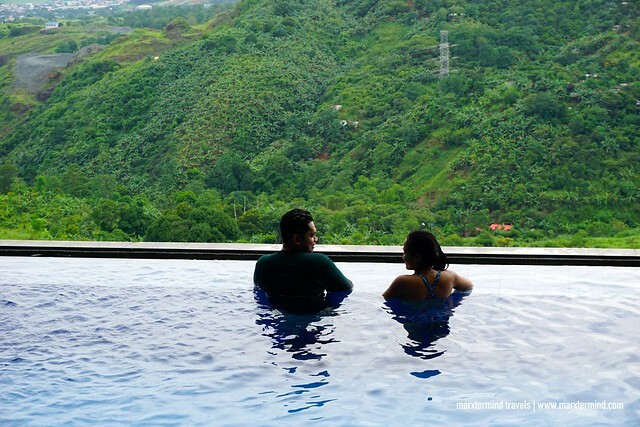 This part of the resort has infinity pools to love providing majestic view of Metro Manila skyline. There are also sauna, heated Jacuzzi, hydro-massage pool, meditation lounges and massage cabins. There are also fish spa ponds that we were able to try. 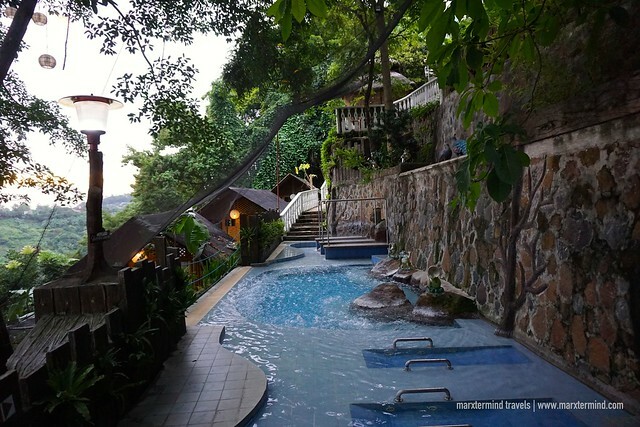 Luljetta’s Hanging Gardens & Spa is indeed a real deal to experience pampering in Antipolo. Of course, to make our vacation experience complete we got treated with a soothing Luljetta’s Signature Massage. Our weekend at Luljetta’s Place was a vacation we all wanted. It was pleasant staying at the resort and experienced a total relaxation and enjoyment. We were also grateful for the kind hospitality that made our stay even more fulfilling. 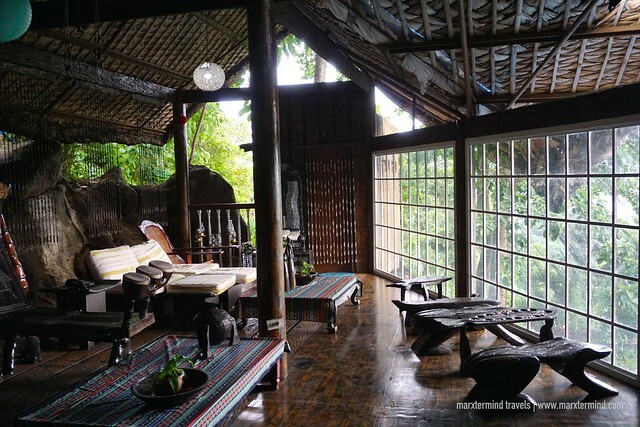 Luljetta’s Place provided us the convenience and comfort to say that Antipolo is indeed an ideal vacation spot. Luljetta’s Place is a newly opened wing within the vicinity of Loreland Farm Resort. It offers more private accommodations complete with magnificent facilities. what hotel you will recommend if we will go to Luljettas? I dont prefer staying at Loreland Resort.